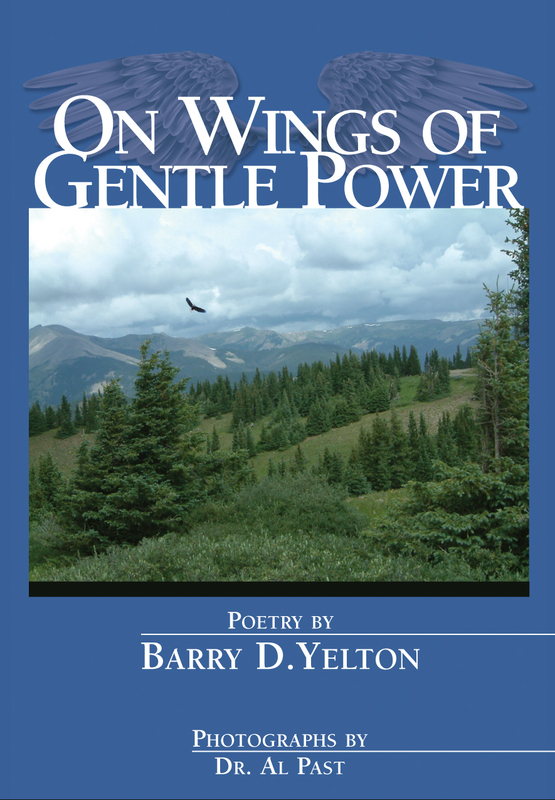 Yelton, Barry D. – On Wings of Gentle Power – Strider Nolan Media, Inc.
A book of poetry that explores the universe, life, and the human soul. Through metaphor, allegory, and black and white photography, the world around us and our place in it is uniquely illuminated. The poetry is reflective of the rural roots of the writer. A sense of place and connection to the land, the sky, and the waters permeate the writing. Poetry has the unique ability to distill and refine universal verities. It is a quest for the perfect expression of the hopes, dreams, pain, and cold realities of our mysterious existence. 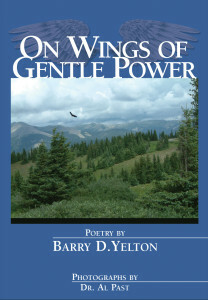 The gorgeous, breathtaking photography of Al Past and the vivid and literate verse of Barry Yelton combine to create a powerful multi-layered metaphor of creation and the cosmos not soon to be forgotten.